SVG uses the general notion of a paint server. Paint servers are specified using a IRI reference on a 'fill' or 'stroke' property (the IRI reference must be local as described in the IRI Reference Section). Gradients and solid colors are just specific types of paint servers. Indicates that painting shall be done using the color specified by the 'color' property. This mechanism is provided to facilitate sharing of color attributes between parent grammars such as other (non-SVG) XML. This mechanism allows you to define a style in your HTML which sets the 'color' property and then pass that style to the SVG user agent so that your SVG text will draw in the same color. <color> is the explicit color (in the sRGB [SRGB] color space) that must be used to paint the current object. All of the syntax alternatives for <color> defined in [ CSS2-color-types] including the list of recognized color keyword names, must be supported. <iri> specifies a paint server such as a gradient. The <iri> provides the ID of the paint server (e.g., a gradient or solid color) that shall be used to paint the current object. The IRI reference must be local as described in the IRI Reference Section. If the IRI reference is not valid (e.g., it points to an object that doesn't exist or the object is not a valid paint server), then it MUST be considered unsupported and processed as if it hadn't been specified. The 'fill' property specifies that the interior of the given graphical element must be painted. The area to be painted shall consist of any areas inside the outline of the shape. To determine the inside of the shape, all subpaths must be considered, and the interior shall be determined according to the rules associated with the current value of the 'fill-rule' property. The zero-width geometric outline of a shape must be included in the area to be painted. Open subpaths must be filled by performing the fill operation as if an additional "closepath" command were added to the path to connect the last point of the subpath with the first point of the subpath. Thus, fill operations apply to both open subpaths within 'path' elements (i.e., subpaths without a closepath command) and 'polyline' elements. The 'fill-rule' property indicates the algorithm which must be used to determine what parts of the canvas are included inside the shape. For a simple, non-intersecting path, it is intuitively clear what region lies "inside"; however, for a more complex path, such as a path that intersects itself or where one subpath encloses another, the interpretation of "inside" is not so obvious. The opacity of the painting operation that must be used to fill the current object. Any values outside the range 0.0 (fully transparent) to 1.0 (fully opaque) shall be clamped to this range. In all cases, strokes which are affected by directionality, such as those having dash patterns, must be rendered such that the stroke operation starts at the same point at which the graphics element starts. In particular, for 'path' elements, the start of the path is the first point of the initial "moveto" command. For strokes, such as dash patterns whose computations are dependent on progress along the outline of the graphics element, distance calculations must use the SVG user agent's standard Distance along a path algorithms. When stroking is performed using a complex paint server, such as a gradient, the stroke operation must be identical to the result that would have occurred if the geometric shape defined by the geometry of the current graphics element and its associated stroking properties were converted to an equivalent 'path' element and then filled using the given paint server. The 'stroke' property shall paint along the outline of the given graphical element. A subpath (see Paths) consisting of a single moveto shall not be stroked. A subpath consisting of a moveto and lineto to the same exact location or a subpath consisting of a moveto and a closepath shall be stroked only if the 'stroke-linecap' property is set to "round", producing a circle centered at the given point. The width of the stroke which shall be used on the current object. No stroke shall be painted for a zero value. A negative value is unsupported and MUST be treated as if the stroke had not been specified. 'stroke-linecap' specifies the shape which shall be used at the end of open subpaths when they are stroked. The shape drawn at the end of open subpaths shall be as per the drawing below. 'stroke-linejoin' specifies the shape which shall be used at the corners of paths or basic shapes when they are stroked. The shape drawn at the corner of paths or basic shapes shall be as per the drawing below. When two line segments meet at a sharp angle and miter joins have been specified for 'stroke-linejoin', it is possible for the miter to extend far beyond the thickness of the line stroking the path. The 'stroke-miterlimit' imposes a limit on the ratio of the miter length to the 'stroke-width'. When the limit is exceeded, the join must be converted from a miter to a bevel. The limit on the ratio of the miter length to the 'stroke-width'. The value of <miterlimit> must be a number greater than or equal to 1. Any other value shall be treated as unsupported and processed as if the property had not been specified. 'stroke-dasharray' specifies the pattern of dashes and gaps that shall be used to stroke paths. <dasharray> contains a list of comma-separated (with optional white space) <length>s that specify the lengths of alternating dashes and gaps that must be used. If an odd number of values is provided, then the list of values shall be repeated to yield an even number of values. Thus, stroke-dasharray: 5,3,2 is equivalent to stroke-dasharray: 5,3,2,5,3,2. Indicates that no dashing shall be used. If stroked, the line must be drawn solid. A list of comma-separated <length>'s (with optional white space). A negative <length> value shall be treated as unsupported and processed as if the property had not been specified. If the sum of the <length>'s is zero, then the stroke shall be rendered as if a value of none were specified. 'stroke-dashoffset' specifies the distance into the dash pattern that must be used to start the dash. Sometimes it is of interest to let the outline of an object keep its original width no matter which transforms are applied to it. E.g. in a map with a 2px wide line representing roads it is of interest to keep the roads 2px wide even when the user zooms into the map. 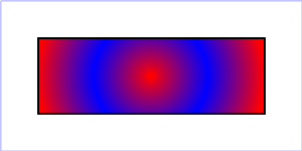 To achieve this SVGT1.2 introduces the 'vector-effect' property. Future versions of the SVG language will allow for more powerful vector effects through this property but this version restricts it to the non-scaling stroke. The value 'none' specifies that no vector effect shall be applied, i.e. the default rendering behaviour from SVG 1.1 is used which is to first fill the geometry of a shape with a specified paint, then stroke the outline with a specified paint. The value 'non-scaling-stroke' modifies the way an object is stroked. Normally stroking involves calculating stroke outline of the shape's path in current user space and filling that outline with the stroke paint (color or gradient). With non-scaling-stroke vector effect, stroke outline shall be calculated in the "host" coordinate space instead of user coordinate space. More precisely: a user agent establishes a host coordinate space which in SVG 1.2 is always the same as "screen coordinate space". The stroke outline is calculated in the following manner: first, the shape's path is transformed into the host coordinate space. Stroke outline is calculated in the host coordinate space. Resulting outline is transformed back to the user coordinate space. (Stroke outline is always filled with stroke paint in the current user space). The resulting visual effect of this modification is that stroke width is not dependant on the transformations of the element (including non-uniform scaling and shear transformations) and zoom level. Note: Future versions of SVG may allow ways to control host coordinate system. Below is an example of a non-scaling-stroke 'vector-effect'. <svg width="6cm" height="4cm" viewBox="0 0 600 400" version="1.2" baseProfile="tiny"
The currentColor property may be assigned a color value that has an opacity component. This opacity value is used in the rendering operation using the alpha compositing method described above. That is, the opacity value in currentColor is used when compositing the color into a paint server (which may have its own values for opacity). SVG enables the author to specify a solid color which will be used to fill the viewport of any element that creates a viewport, such as the svg element. The 'viewport-fill' property specifies the color which shall be used to fill the viewport created by a particular element. It must cause the entire canvas of the element that it applies to to be filled with the specified solid color. That canvas may then be clipped by that element's viewBox. Below is an example of 'viewport-fill'. Everything here has a red background. Here is a slightly more complex example. The viewBox gives a coordinate system 300 units wide and 100 units high. The rendering shows what happens when this is displayed inside a square viewport. The viewport has a yellow background. aspect ratio of the viewport differs from thatof the viewBox. The viewport fill operation happens before filling and stroking. The viewport fill operation occurs before compositing, and thus is part of the input to the compositing operations. The viewport fill operation renders into the element's conceptual offscreen buffer, and thus opacity applies as usual. Viewport fill is not affected by the 'fill' or 'fill-opacity' properties. The 'viewport-fill-opacity' property specifies the opacity of the 'viewport-fill' that shall be used for a particular element. SVG uses two properties, 'display' and 'visibility', to control the visibility of graphical elements or (in the case of the 'display' property) container elements. Neither of these two properties affects the objects existence in the DOM, i.e. no matter what value of these properties the object still remains in the DOM. 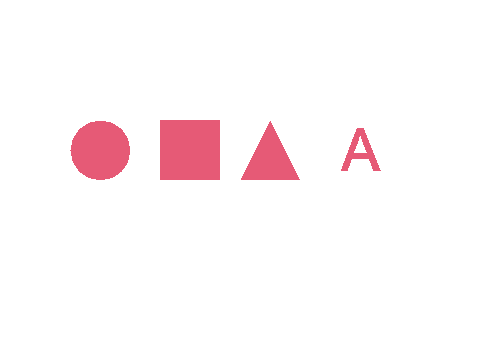 When applied to a container element, setting 'display' to none causes the container and all of its children to be invisible; thus, it acts on groups of elements as a group. 'visibility', however, only applies to individual graphics elements. Setting 'visibility' to hidden on a 'g' will make its children invisible as long as the children do not specify their own 'visibility' properties as visible. When the 'display' property is set to none, then the given element does not become part of the rendering tree. With 'visibility' set to hidden, however, processing occurs as if the element were part of the rendering tree and still taking up space, but not actually rendered onto the canvas. This distinction has implications for the 'tspan' element, event processing, and for bounding box calculations. If 'display' is set to none on a 'tspan' then the text string is ignored for the purposes of text layout; however, if 'visibility' is set to hidden, the text string is used for text layout (i.e., it takes up space) even though it is not rendered on the canvas. Regarding events, if 'display' is set to none, the element receives no events; however, if 'visibility' is set to hidden, the element might still receive events, depending on the value of property 'pointer-events'. The geometry of a graphics element with 'display' set to none is not included in bounding box calculations; however, even if 'visibility' is to hidden, the geometry of the graphics element still contributes to bounding box calculations. A value of display: none indicates that the given element and its children shall not be rendered directly (i.e., those elements are not present in the rendering tree). Any computed value other than none indicates that the given element shall be rendered by the SVG user agent. The 'display' property only affects the direct rendering of a given element, whereas it does not prevent elements from being referenced by other elements. Elements with display: none do not take up space in text layout operations, do not receive events, and do not contribute to bounding box calculations. Except for any additional information provided in this specification, the normative definition is the CSS2 definition of the 'display' property. The current graphics element shall be visible. The current graphics element shall be invisible (i.e., nothing is painted on the canvas). Note that if the 'visibility' property is set to hidden on a 'tspan' element, then the text is invisible but shall still takes up space in text layout calculations. Except for any additional information provided in this specification, the normative definition is the CSS2 definition of the 'visibility' property. The creator of SVG content might want to provide a hint to the implementation about how to make speed vs. quality tradeoffs as it performs color interpolation and compositing. The 'color-rendering' property provides a hint to the SVG user agent about how to optimize its color interpolation and compositing operations. Indicates that the user agent shall make appropriate tradeoffs to balance speed and quality, but quality shall be given more importance than speed. The user agent shall employ a resampling algorithm at least as good as nearest neighbor resampling, but bilinear resampling is strongly preferred. For Conforming High-Quality SVG Viewers, the user agent shall employ a resampling algorithm at least as good as bilinear resampling. Indicates that the user agent shall emphasize quality over rendering speed. The user agent shall employ a resampling algorithm at least as good as bilinear resampling. Indicates that the user agent shall emphasize rendering speed over quality. The user agent should use a resampling algorithm which achieves the goal of fast rendering, with the requirement that the resampling algorithm shall be at least as good as nearest neighbor resampling. If performance goals can be achieved with higher quality algorithms, then the user agent should use the higher quality algorithms instead of nearest neighbor resampling. In all cases, resampling must be done in a truecolor (e.g., 24-bit) color space even if the original data and/or the target device is indexed color. The values of any of the painting properties described in this chapter can be inherited from a given object's parent. Painting, however, is always done on each graphics element individually, never at the container element (e.g., a 'g') level. 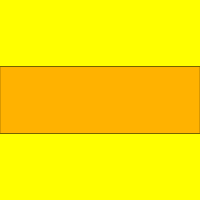 Thus, for the following SVG, even though the gradient fill is specified on the 'g', the gradient is simply inherited through the 'g' element down into each rectangle, each of which is rendered such that its interior is painted with the gradient. <svg width="7cm" height="2cm" viewBox="0 0 700 200"
<rect x="1" y="1" width="698" height="198"
Object/group opacity can, if applied to container elements, be a resource intensive operation. Therefore this version of SVG restricts this property to only apply to the image element. Each hexadecimal digit, in the range 0 to F, represents one sRGB color component in the order red, green and blue. The digits A to F may be in either uppercase or lowercase. The value of the color component is obtained by replicating digits, so 0 become 00, 1 becomes 11, F becomes FF. This compact syntactical form can represent only 4096 colors. Examples: #000 (i.e.black) #fff (i.e.white) #6CF (i.e. #66CCFF, rgb(102, 204, 255)). Each pair of hexadecimal digits, in the range 0 to F, represents one sRGB color component in the order red, green and blue. The digits A to F may be in either uppercase or lowercase.This syntactical form, originally introduced by HTML, can represent 16777216 colors. Examples: #9400D3 (i.e. a dark violet), #FFD700 (ie a golden color). Each integer represents one sRGB color component in the order red, green and blue, separated by a comma and optionally by whitespace. Each integer is in the range 0 to 255. This syntactical form can represent 16777216 colors. Examples: rgb(233, 150, 122) (i.e a salmon pink), rgb(255, 165, 0) (i.e an orange). Each percentage value represents one sRGB color component in the order red, green and blue, separated by a comma and optionally by whitespace. For colors inside the sRGB gamut, the range of each component is 0.0% to 100.0% and an arbitrary number of decimal places may be supplied. Scientific notation is not supported. This syntactical form can represent an arbitrary range of colors, completely covering the sRGB gamut. Color values where one or more components are below 0.0% or above 100.0% represent colors outside the sRGB gamut Examples: rgb(12.375%, 34.286%, 28.97%). The sixteen color keywords from HTML 4 must be supported. The following list of predefined System Paint servers must be supported. The type of paint returned depends on the operating system, user choices, and the implemenatation. The paint may be a solid color (which may include opacity) or a gradient (which may include multiple stop opacities). The names are intended to be descriptive. The implementation should attempt to map the predefined System Paint servers to the current appearance of user interface elements on the platform, including user color choices. For each of the predefined System Paint servers below, the text indicates the appropriate user interface element. The solidColor element is a paint server that provides a single color with opacity. It can be referenced like the other paint servers (i.e. gradients). The solid-color property specifies the color that shall be used for this solidColor element. The keyword currentColor can be specified in the same manner as within a <paint> specification for the fill and stroke properties. The solid-opacity property defines the opacity of a given solid color. The solidColor paint server applies paint of the specified color using the opacity defined in solid-opacity. The value of solid-opacity is independent of the opacity used to render the paint via fill or stroke (see alpha compositing). 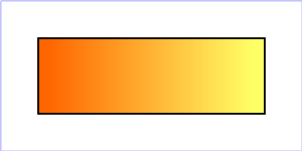 <svg version="1.2" baseProfile="tiny" xmlns="http://www.w3.org/2000/svg" xmlns:xlink="http://www.w3.org/1999/xlink"
The 'color' property, which defined in CSS2 as the color of text, does not directly apply to SVG elements. The value of the SVG color property may however be used to provide an indirect value for those properties which allow the currentColor keyword: the 'fill', 'stroke', 'solid-color' and 'stop-color' properties. Paint servers are referenced using an IRI reference on a 'fill' or 'stroke' property. Defines the coordinate system for attributes x1, y1, x2, y2 that shall be used when rendering the gradient. If gradientUnits="userSpaceOnUse", x1, y1, x2, y2 shall represent values in the coordinate system that results from taking the current user coordinate system in place at the time when the gradient element is referenced (i.e., the user coordinate system for the element referencing the gradient element via a 'fill' or 'stroke' property). If gradientUnits="objectBoundingBox", the user coordinate system for attributes x1, y1, x2, y2 shall be established using the bounding box of the element to which the gradient is applied (see Object bounding box units). When gradientUnits="objectBoundingBox" the stripes of the linear gradient shall be perpendicular to the gradient vector in object bounding box space (i.e., the abstract coordinate system where (0,0) is at the top/left of the object bounding box and (1,0) is at the top/right of the object bounding box). When the object's bounding box is not square, the stripes that are conceptually perpendicular to the gradient vector within object bounding box space shall render non-perpendicular relative to the gradient vector in user space due to application of the non-uniform scaling transformation from bounding box space to user space. If attribute gradientUnits is not specified, then the effect shall be as if a value of objectBoundingBox were specified. x1, y1, x2, y2 define a gradient vector for the linear gradient. This gradient vector provides starting and ending points onto which the gradient stops shall be mapped. The values of x1, y1, x2, y2 must be numbers. If the attribute is not specified, the effect shall be as if a value of "0" were specified. If the attribute is not specified, the effect shall be as if a value of "1" were specified. If x1 = x2 and y1 = y2, then the area to be painted shall be painted as a single color using the color and opacity of the last gradient stop. If the gradient starts or ends inside the bounds of the target rectangle the terminal colors of the gradient shall be used to fill the remainder of the target region. Properties shall inherit into the 'linearGradient' element from its ancestors; properties shall not inherit from the element referencing the 'linearGradient' element. Defines the coordinate system for attributes cx, cy, r that shall be used when rendering the gradient. If gradientUnits="userSpaceOnUse", cx, cy, r shall represent values in the coordinate system that results from taking the current user coordinate system in place at the time when the gradient element is referenced (i.e., the user coordinate system for the element referencing the gradient element via a 'fill' or 'stroke' property). If gradientUnits="objectBoundingBox", the user coordinate system for attributes cx, cy, r shall be established using the bounding box of the element to which the gradient is applied (see Object bounding box units). When gradientUnits="objectBoundingBox" the rings of the radial gradient shall be circular with respect to the object bounding box space (i.e., the abstract coordinate system where (0,0) is at the top/left of the object bounding box and (1,1) is at the bottom/right of the object bounding box). When the object's bounding box is not square, the rings that are conceptually circular within object bounding box space shall render as elliptical due to application of the non-uniform scaling transformation from bounding box space to user space. cx, cy, r define the largest (i.e., outermost) circle for the radial gradient. The gradient shall be drawn such that the "1" gradient stop is mapped to the perimeter of this largest (i.e., outermost) circle. If the attribute is not specified, the effect shall bshall be as if a value of "0.5" were specified. The gradient shall be drawn such that the "0" gradient stop is mapped to (cx, cy). If the attribute is not specified, the effect shall be as if a value of "0.5" were specified. A negative value shall be treated as unsupported. A value of zero shall cause the area to be painted as a single color using the color and opacity of the last gradient stop. If the gradient starts or ends inside the bounds of the object(s) being painted by the gradient the terminal colors of the gradient shall be used to fill the remainder of the target region. Properties shall inherit into the 'radialGradient' element from its ancestors; properties shall not inherit from the element referencing the 'radialGradient' element. 'radialGradient' elements must never be rendered directly; their only usage is as something that can be referenced using the 'fill' and 'stroke' properties. The 'display' property does not apply to the 'radialGradient' element; thus, 'radialGradient' elements are not directly rendered even if the 'display' property is set to a value other than none, and 'radialGradient' elements are available for referencing even when the 'display' property on the 'radialGradient' element or any of its ancestors is set to none. The offset attribute is a <number> (usually ranging from 0 to 1) which indicates where the gradient stop shall be placed. For linear gradients, the offset attribute represents a location along the gradient vector. For radial gradients, it represents a relative distance from (cx,cy) to the edge of the outermost/largest circle. If the attribute is not specified, the effect is as if a value of "0" was specified. Animatable: yes. The 'stop-color' property specifies the color that shall be used at the gradient stop. The keyword currentColor can be specified in the same manner as within a <paint> specification for the 'fill' and 'stroke' properties. The 'stop-opacity' property specifies the opacity that shall be used for the gradient stop. It is necessary that at least two stops defined to have a gradient effect. If no stops are defined, then painting shall occur as if 'none' were specified as the paint style. If one stop is defined, then painting shall occur with the solid color fill using the color defined for that gradient stop. 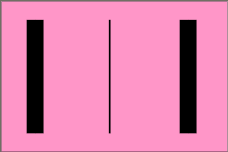 Each gradient offset value is required to be equal to or greater than the previous gradient stop's offset value. If a given gradient stop's offset value is not equal to or greater than all previous offset values, then the offset value must be adjusted to be equal to the largest of all previous offset values.